The FBI is investigating the sale of bogus tickets for Miami Heat basketball games after a former NFL Hall of Fame player was scammed out of first-row seats and $200,000, WPTV.com reports. Quarterback Warren Moon was reportedly scammed, along with other NFL players Charles Woodson and Jarvis Green. The FBI confirmed it was investigating the sale of bogus tickets but wouldn’t elaborate. 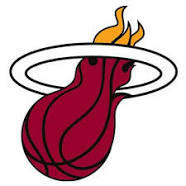 Miami Heat is urging fans to be on the look out for scams. Posted: 1/27/14 at 8:56 AM under News Story.